Calvin B. Jutzi has been active in both Merlin Machine Co Ltd and M. R. Jutzi & Co Auctioneers for many of his formative years, learning the industrial business from the ground up. Since 1970, Calvin worked extensively in the auction business, on a part-time basis and graduated from REISCH AUCTION COLLEGE, Mason City, Iowa in Aug '74. 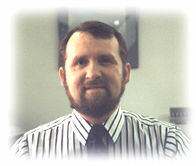 Calvin attended university in Waterloo at WILFRID LAURIER UNIVERSITY,(WLU), and graduated with a Bachelor of Business Administration (BBA), Honours. During that time Calvin participated in the inaugural W.L.U. Business Co-op Work Program and worked at a major financial institution. Calvin started full time in 1978 and is the Auction Sale Manager and the General Manager of our Breslau facility. In addition to our auction experience, we complete about 50 to 75 appraisals a year. These appraisals are for trustees, banks and receivers, as well as, for many businesses in transition.